ISBN 1598064010. Key: E-flat major. 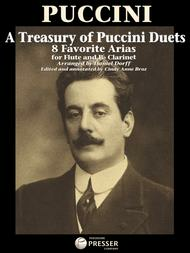 As a follow-up to Dorff's collections of Bach and Mozart duets for flute and clarinet, Theodore Presser Company releases A Treasury of Puccini Duets, once again adapted by Daniel Dorff, Dorff, along with translations and scene descriptions. 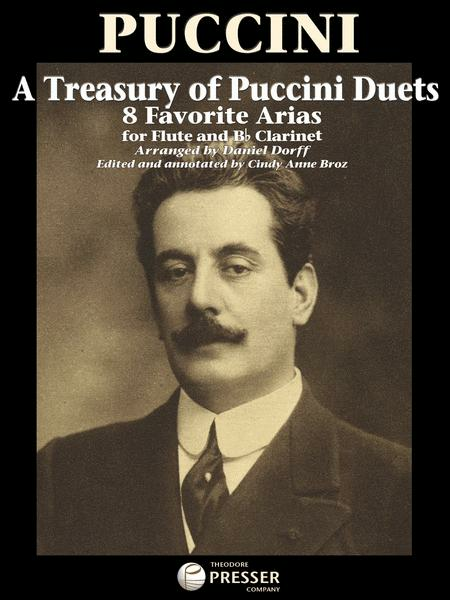 In addition, prefatory notes and suggestions for applying operatic lyricism through instrumental expression are provided by flutist-pedagogue Cindy Anne Broz. For intermediate to advanced players.